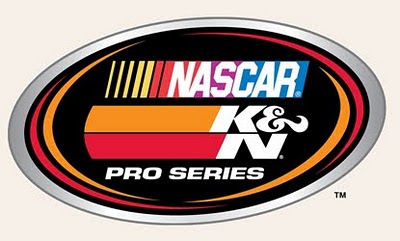 DAYTONA BEACH, Fla. – NASCAR announced today that the unofficial results of Saturday’s NASCAR K&N Pro Series West race at All American Speedway in Roseville, Calif., have been revised due to a rules violations discovered during post-race inspection of the second-place car – the No. 22 driven by Jonathan Gomez. The car was found to be in violation of Sections 12-1 (actions detrimental to stock car racing); 12-4-I (car, car parts, components and/or equipment used do not conform to NASCAR rules); and 20C-12.3-T (front shock absorbers would not extend to the specified distance within the specified period of time) of the 2010 NASCAR rule book. The violations were discovered during post race inspection on March 27. The infraction dropped Gomez to 23rd in the official race finish. All other drivers in the event moved up one position in the official finishing order. The No. 16 Hasa Pool Products Toyota Camry ran in the top ten during both practices at the NASCAR K&N Pro Series West season opener. Moses Smith was third on the board in the first of two practices and eighth during the second. Smith went on to qualify the Hasa entry from Bill McAnally Racing in seventh for the first of five Toyota/NAPA Auto Parts Bonus Challenge races. Before a sold-out crowd, Smith moved toward to front of the field breaking into the top-five by the halfway point of the 150-lap race. A late in the race incident had the race finish under a green-white-checkered scenario. As Smith brought the No. 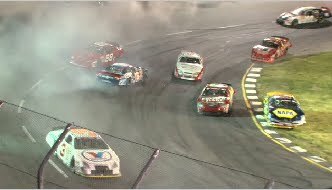 16 Hasa Toyota Camry to the checkered flag, a car spun in turn four. Smith avoided the wrecked car high in the corner only to be turned around by a lapped down car. The Toyota/NAPA Auto Parts Bonus Challenge West race from All American Speedway race will be televised on SPEED Channel on April 8th. The next NASCAR West Series race event will be also on April 8th at Phoenix International Raceway. BMR would like to thank the continued support of our race partners. 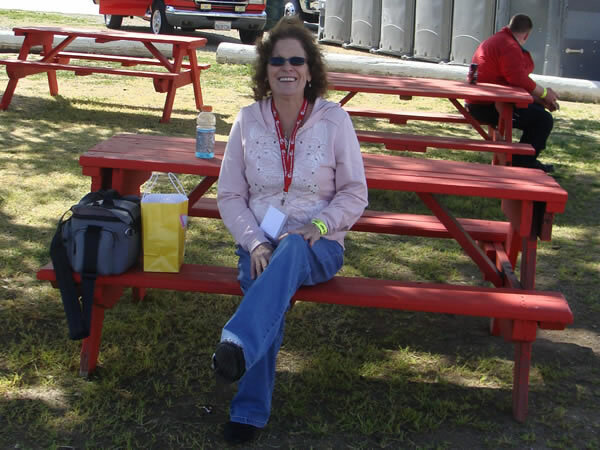 For more information on Bill McAnally Racing and our race partners, please visit our website at http://www.billmcanallyracing.com/. 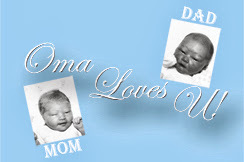 For more information on Moses Smith, please visit http://www.mosessmith.com/. You can visit our sponsors’ websites at http://www.hasapool.com/, http://www.whiteflyer.com/, http://www.tcitransportation.com/ and http://www.blimpie.com/. 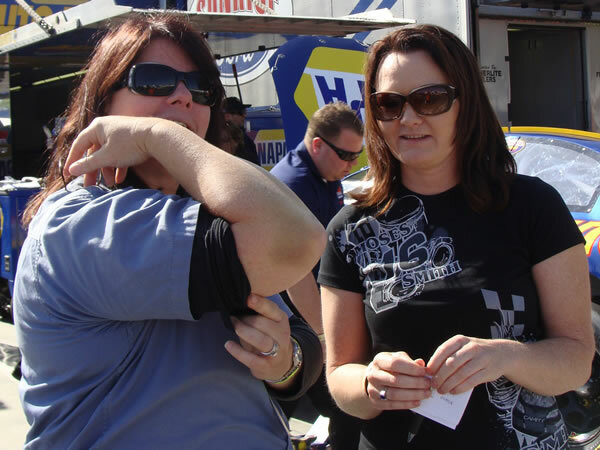 As in the past, the ‘At the Track’ segment will be blogging all the pre-race activities of the NASCAR K&N Pro Series West Race. The NASCAR Toyota All-Star Showdown was over two months ago and Moses Smith, driver of the No. 16 Hasa Pool Products Toyota Camry is ready to start the 2010 NASCAR K&N Pro Series West season. The veteran driver from Bill McAnally Racing and the No.16 Hasa team will be making their fifth visit to the team’s home track in Roseville, California on March 27th. Smith will be looking to put the No. 16 Hasa Pool Products Toyota Camry on the pole in the main event, the Toyota/NAPA Auto Parts Bonus Challenge. With an expected 500 plus Hasa fans cheering Smith and the No. 16 Hasa team from the stands, Smith looks to bring home a win. In four previous starts at All American Speedway, Smith recorded three top-five and four top-ten finishes. “I’m excited that our first race is at All American Speedway,” said Smith. “We always run well there, so hopefully we will come away from there with good momentum for the season!" The Toyota/NAPA Auto Parts Bonus Challenge West race will be on March 27th at All American Speedway in Roseville, California. The event is expected to be sold out so get your tickets now. The race will be televised on SPEED Channel on April 8th. Smith will be signing autographs on the midway beginning at 6 pm. For more information on the race, please visit www.allamericanspeedway.com . 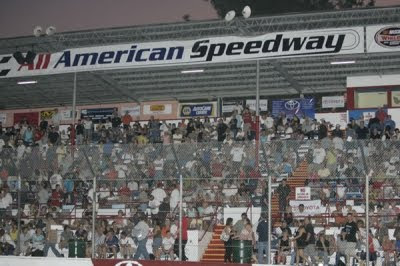 • This race will be the 10th series visit to All American Speedway. The track hosted five series events between 1977 and 1982 when it was a quarter-mile oval and four races since 2008, after it was renovated and became a third-mile track. • The nine series races at All American Speedway produced eight different winners. 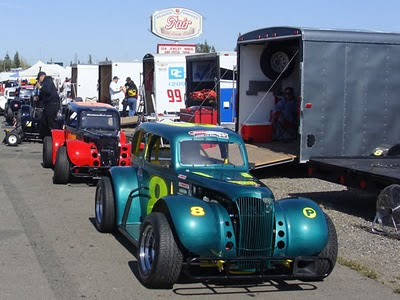 • Seven different drivers have qualified on the pole in series competition at Roseville. • Six drivers are tied for the most top-five finishes, with three each – Jason Bowles, Eric Holmes, Jim Insolo, Jim Robinson, Bill Schmitt and Moses Smith. • Schmitt and Smith are tied for the most top-10 finishes, with four each. • Seven drivers share the distinction of having the most series starts at All American Speedway, with four each. 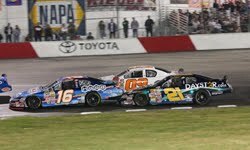 • By virtue of three wins by Bill McAnally Racing, Toyota leads manufacturers with three victories at All American Speedway. 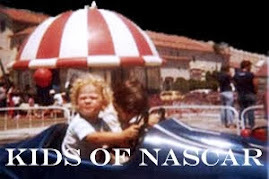 • Ninety-one drivers have raced in series competition at the fairgrounds track. The stage is set for another exciting year of competition in the NASCAR K&N Pro Series West. 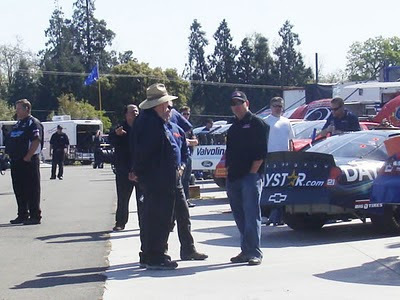 The 2010 season gets underway with the Toyota/NAPA Auto Parts Bonus Challenge presented by A-All Mini Storage at All American Speedway in Roseville, Calif., on Saturday, March 27. The Bill McAnally Racing Promotions event at the Placer County Fairgrounds has become a very popular attraction among fans – featuring an action-packed midway with numerous activities to supplement a full card of racing. Another tough season of competition is expected this year in the NASCAR K&N Pro Series West, with veteran drivers and talented rookies vying for the spotlight as the West’s oldest stock car racing circuit celebrates its 57th season. Wheeling the car sponsored by Roseville event sponsors – NAPA Auto Parts and Toyota – is one of the local favorites, Eric Holmes (No. 20 NAPA Toyota). The series veteran from Escalon, Calif., has won this event the past two years driving for Bill McAnally Racing, based in nearby Antelope. In taking aim at a third consecutive win, Holmes also hopes to gain an early lead in his quest for a third championship. He won the series title in 2006 and 2008 and finished second in points last year. Two drivers who shadowed Holmes in the standings last season are returning for a shot at this year’s championship. In returning to the series full time last year, Greg Pursley (No. 26 GPM Performance Parts/SMR Ford) joined with the Parker, Ariz.-based team of car owner Gene Price to become a title contender. After netting a third-place finish in the standings with one win, eight top-five and 11 top-10 finishes in 2009, Pursley is set to return with the team to make a championship run. David Mayhew (No. 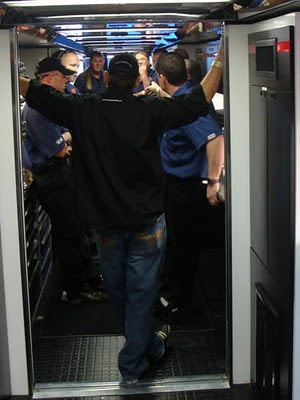 17 MMI Services/Ron’s Rear Ends/KHI Chevrolet) is also expected to contend for the 2010 title. 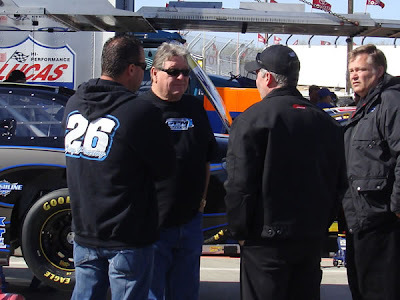 He registered two wins, six top-five and eight top-10 finishes last year for car owner Steve McGowan and returns for another season with the team from Bakersfield, Calif..
A couple of second-year drivers from the East Coast – Paulie Harraka (No. 12 NAPA Gold Filters Toyota) of Wayne, N.J., and Blake Koch (No. 21 Daystar Chevrolet) of West Palm Beach, Fla. – waged a fierce battle for the Sunoco Rookie of the Year Award last season and are taking aim at the championship this year. Harraka won two of the final three races, including a dominant victory in the season finale at Roseville, to nail down the prestigious rookie title and finish fourth in the overall standings. Harraka, who adopted All American Speedway as his home track after winning a Late Model championship there two years ago, hopes to continue the momentum he and his BMR team established at the end of the year. Koch, who finished his freshman season eighth in the final standings, is looking to build on the success he experienced with car owner Jim Offenbach and his Golden Gate Racing Team in conjunction with Richard Childress Racing. Meanwhile, veteran West Coast driver Auggie Vidovich (No. 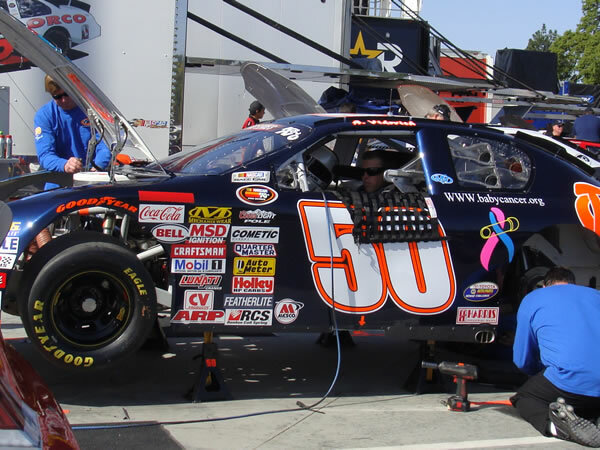 50 Towne Place & Spring Hill Suites by Marriott Chevrolet) of Lakeside, Calif., will be looking for a strong showing in his first full season of competing in the NASCAR K&N Pro Series West. Vidovich, who won a championship in the former NASCAR Southwest Tour in 2003 and competed in more than 20 races in the NASCAR Nationwide Series in 2006, has joined with the TCR team to take a shot at this year’s title. Another driver expec-ted to be a contender in his first full season in the series is Jonathon Gomez (No. 22 Heritage Cattle/Century Boatland Chevrolet) of Twin Falls, Idaho. Gomez, who has competed in eight series races in the past two seasons, scored top-10 finishes in his first two series events in 2008. A series veteran who also looks to be in the hunt this year is Moses Smith (No. 16 HASA Pool Products/White Flyer Toyota). The Tempe, Ariz., driver – who is entering his fourth full season of series competition – collected his second consecutive Most Popular Driver Award in 2009. Two series veterans from Northern California returning to the series this season are Wes Banks (No. 3 Valvoline Ford) of Oakdale and Jack Sellers (No. 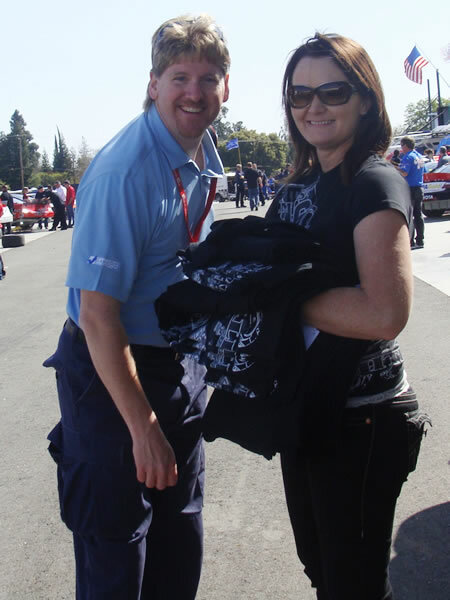 15 Greyhound Adoption Center Chevrolet) of Sacramento – who celebrated his 25th season in the series last year. Teaming with Sellers for a third season is Jonathan Hale (No. 51 Greyhound Adoption Center Chevrolet) of Rio Linda, Calif. Piloting a third entry for the team in select events this season will be Justin Funkhouser (No. 5 Greyhound Adoption Center Chevrolet) of Paradise, Calif.
A talented field of freshman drivers should make for another exciting year of competition for the Sunoco Rookie of the Year Award this season. Those looking to figure into the chase for the rookie title include Taylor Barton (No. 60 Full Tilt Poker.Net Chevrolet) of Las Vegas, Nev.; Josh Combs (No. 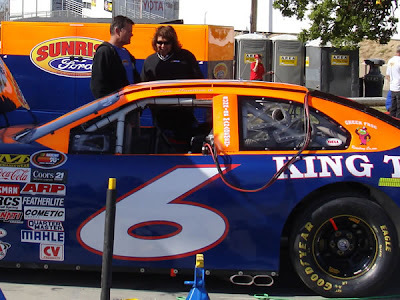 9 Grape King/Sunrise Ford Ford) of Sacramento, Calif.; Luis Martinez Jr. (No. 6 King Taco/Sunrise Ford/Lucas Ford) of Long Beach, Calif.; Travis Milburn (No. 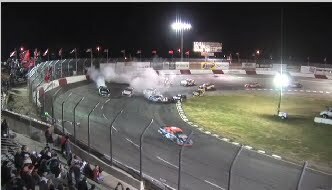 14 Cooks Collision Chevrolet) of Eagle, Idaho; Greg Rayl (No. 07 PalmerSigns.com Ford) of Roseville, Calif.; Michael Self (No. 88 J. Michael Self MD Chevrolet) of Park City, Utah, and Todd Souza (No. 13 Central Coast Cabinets Chevrolet) of Aromas, Calif.
Souza, who won the rookie award in the former NASCAR Southwest Tour in 2000, has run select events in the NASCAR K&N Pro Series West since 2004 and registered a win in 2008. Martinez, who made two series starts in 2008, takes controls of the Bob Bruncati-owned car that was driven to the 2009 championship by Jason Bowles. Combs, also driving for Bruncati, made his series debut at the NASCAR Toyota All-Star Showdown in January. Self, who made two series starts last year, will be the primary driver this season for the Motorway Motorsports team headed by Mike Naake. Milburn competed in four races in the series last season and made two starts in 2008. Rayl has competed in four series events, including three in 2009. Other drivers in the mix this season who are on the entry list at Roseville include Kyle Kelley (No. 7 UPRacing.com/Apex/Jamison Dodge) of Huntington Beach, Calif.; Troy Ermish (No. 38 Cooks Collision Dodge) of Fremont, Calif.; and Paul Pedroncelli Jr. (No. 0 Lee’s Auto Body/Native Hut Chevrolet) of Sonoma, Calif. This flag is used to start the race and restart after a stoppage. Yellow signals a caution period, due to an incident or debris. Cars must slow down and stay in line behind the pace car under this flag. This tells drivers the race is being stopped for safety reasons or inclement weather. Slower, lapped drivers must yield to faster, lead-lap cars under this flag. This penalty flag indicates that a driver must report to the pits immediately due to mechanical or disciplinary reasons. Tells the driver that their car will not be scored until they answer to officials. Indicates a race’s final lap is beginning. Indicates the end of the race, when the first-place car crosses the finish line. If a race’s final scheduled lap takes place under caution, the race automatically goes into "overtime." Commonly called a "green-white-checkered" finish, it’s an additional two laps that can produce some of the most exciting finishes in racing. 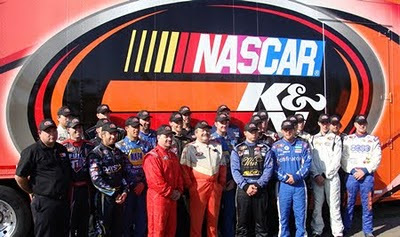 DAYTONA BEACH, Fla. – NASCAR has announced today the television schedule for its developmental series for 2010. The expanded calendar includes 21 events on SPEED for the NASCAR K&N Pro Series. SPEED, anchored by its popular and wide-ranging coverage of NASCAR, is the nation’s first and only cable television network dedicated to automotive and motorcycle racing, performance and lifestyle. 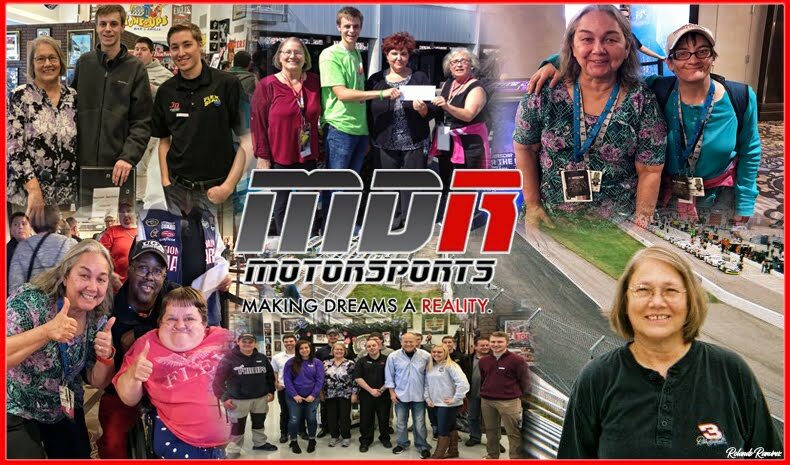 The NASCAR Developmental Series programming will air Thursdays at 6 p.m. (Eastern Time). SPEED, in conjunction with NASCAR Media Group, will air each tape-delayed race as a one-hour show. SPEED’s coverage will begin with the NASCAR K&N Pro Series East opener at Greenville-Pickens (S.C.) Speedway (race date is March 27; air date is April 1) and conclude with the NASCAR K&N Pro Series West finale from Phoenix International Raceway (race date is Nov. 11; air date is Nov. 18). The schedule includes seven re-airs of previous events during select Thursday slots throughout the season for a total of 34 events.